A team shall consist of twelve (12) players. The 7 teams competing will be Berkshire, Hampshire, Oxfordshire, Somerset, Sussex, Wey Valley and Wiltshire. The number of teams to qualify for the final will be confirmed shortly before the event. The date for the final is Saturday 28th April 2018. The venue for the final has not yet been decided. The rate of play is all moves in 30 minutes plus 10 seconds per move from the start. If digital clocks are not available, the rate of play is all moves in 40 minutes. If either player has less than five minutes left on the clock and an illegal move is made, the Arbiter may award the opponent two minutes for the first offence, and two minutes for a second offence. Three illegal moves during the game by the same player will lead to the loss of the game. A team shall consist of twenty (20) players. The Under 11 Girls Final will be held on Saturday 24th March 2018. The 17 teams entered are Barnet, Berkshire, Cambridgeshire, Essex, Hampshire, Hertfordshire, Kent, Manchester, Newham, Nottinghamshire, Oxfordshire, Richmond, Somerset, Sussex, Warwickshire, Wey Valley and Wiltshire. Hampshire Junior Chess Association is delighted to announce the appointment of Ollie Blacklock as our Under 11 Team Manager. Ollie also manages the Under 9 team and the two teams have a large overlap of players. 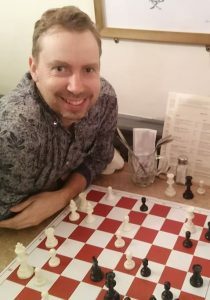 We wish Ollie all the best in his new role and look forward to his contributions to the fortunes and success of Hampshire Junior Chess Association. Hampshire Junior Chess Association is delighted to announce the appointment of Ollie Blacklock as our Under 9 Team Manager. Discovering there was no junior chess club within 25 miles for my son to attend, I decided to set up a club at his school – the New Forest Small School – in Lyndhurst in 2015. Following visits to three junior chess schools in Kazakhstan, and a discussion with Elyena Gaichenya of the “Champion” club in Almaty, I decided to start an independent junior club – the New Forest Chess Club – based in Lymington in 2017. This club has been very successful and has over 20 members and a waiting list, and some of the strongest junior players in the county. I joined the Southampton Chess Club in 2017, and am in the process of registering as an ECF accredited coach. I give private chess tuition, and when I’m not doing chess, I’m being a design engineer, sailing, or playing music. 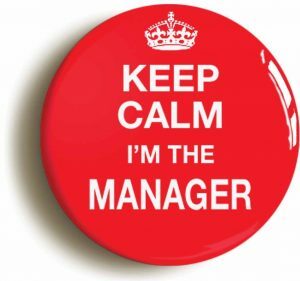 Hampshire Junior Chess Association is looking for three new Team Managers (and assistants) for the 2018 – 2019 season and beyond. SCCU / ECF Under-14 (Open) Team : first match is November 2018. Previously these teams were managed by HJCA Secretary, John Upham, who will offer the new Managers as much assistance as required plus access to a small budget. Please contact john.upham@zen.co.uk with any offers or suggestions. Chess (almost) by the Sea Side ! Seventeen young Under 9 chess players ventured (mostly South or East) to a lovely school in Hassocks near Brighton and had a great time playing chess. More details to follow. A big thank-you to all the Mums and Dads who transported their children. Thanks to Alex Warren and Ollie Blacklock for their invaluable help today. Many tremendous performances and a special shout out to six year old Nicholas Deacon who scored 3/3 on board 3 and Harrison Cwajna on board 12 : perfect ! The detailed results may been seen here. EPSCA have sent HJCA dates and venues for the 2017 – 2018 competitions and Entries South Zone at 3 Nov 2017.